I started by sanding the wood until it was nice and soft so I don’t have to worry about splinters. 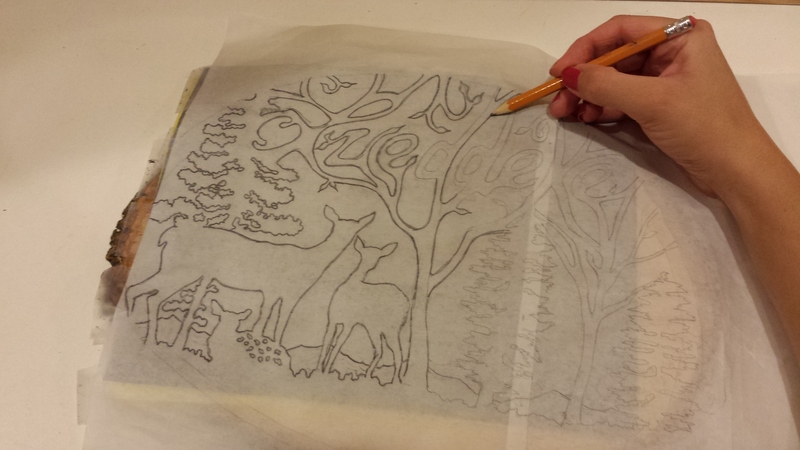 Then, using transfer paper between my design and the wood, I traced firmly over the design with a pencil. This left a perfect blueprint of my image directly on wood. The same holds true when transferring images onto fabric: Never use yellow, red or purple work best. Very true! Purple must work best with everything… haha!